The band was founded in 1983. the group has an enormous repertoire copyright. , Iron DEVIL has more than 400 HIT SONGS. distinguished tremendous professionalism and discipline. It's the BULGARIAN band. Members of the group living at this time in his home country Bulgaria. we all are profesionals musician . The band has won many competitions in America. It can be heard in many American radio stations . We will make the audience happy and dancing. , Iron DEVIL can be found anywhere on the Internet / write, iron devil rock / . I was a little boy - a child. watching television, newspapers, magazines and best - very impressed by people who had guitars. growing up but it was the most - my big dream! I wanted to play guitar! i was in 8 .! Then my grandmother bought me a guitar 3/4. Small guitar suitable for a boy ! Then my parents made ​​me the most - big surprise, made me the greatest gift . I recorded a guitar school ! So I started to learn guitar! I studied the notes. I studied musical theory. I studied guitar, but a classic! Little by little I became an excellent classical guitarist! I went to play at concerts! I went to play at festivals! Win prizes! However, I am not satisfied! My adrenaline was rising when I listened to rock music! So it was with my friends! forget how I stood in the hallways at school and listened to rock! It was music to us ! then with five of my friends decided to get together to rock It carries.we went to the beach and listened to rock! did party and listened to rock! we all knew that this was music for us ! once listened to music ....... we talked we decided to get together and try to It carries. We were in our attic ..no guitars. we had no drums. we had no equipment! wondered here and there and found old broken guitars. after patching you can use them! we had no drums. we had no equipment. NO MONEY! 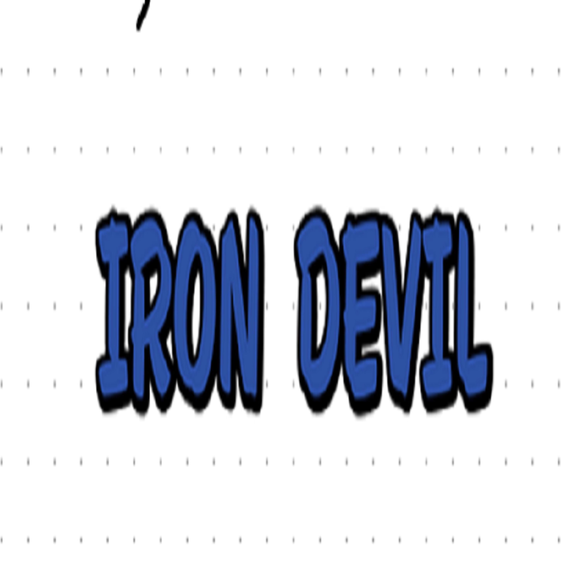 also formed a group, Iron devil. It consisted of 5 persons. Two solo guitars, bass, drums and vocals. OGI. - Lead guitar. Now dealing with private business. prosperous lawyer in his firm. comes from working-class family.! -BORKO - GUITAR, BASS, VOCAL, cello, and Composer. He was - MUSIC FROM THE COMPANY that time. PARENTS was a descendant of musicians. violinists of the local chamber orchestra. Now living in Spain. -JOE-vocals, bass - composer. comes from a working-class family. The group was founded at a time when our country was banned rock music! everyone in our town knew about us! everyone knew that there was a rock band that performs rock despite prohibitions! we were a rock band with a very solid sound for your time! first began to develop themes of famous pieces. So we created some new songs! we played very, very much. we played from morning till late evening. we played every day. we played we played we played! .the room where we played our classmates came, friends came to their friends. but now it's time when any member of the group refused to deal with it. Borko went to live in our capital taught AND THEN WORK. A family. And went to in Spain with his parents. then, after long discussions we decided to record a demo album with things we have done so far. course the album was recorded completely unprofessional. we managed to save quite a short album. it spread from hand to hand among our friends and acquaintances. perform some songs and now. and so these people left the group. then started looking for new members, iron devil, unexpectedly and Cauchy had almost refused. reason was not that he wanted to play but lack of funds for new drums. a drum kit as a year salary cost per employee. but it was impossible for us. Koki and it was just Joe. then from word to word told us of an excellent musician. It was Patsi. We agreed and met. Chat. turns out that it has drums and we rehearse in his school. there were real equipment. Now we had a drummer, drums, but that was not nice guitars. Joe and I we arranged to go to the neighboring big city looking for a cheap electric guitar. cheaper because the money I could find were little. agreed day came and we drove to tarsimkitara. but went guitars which naturally were not sold in my pocket. poking around and found a cheap, low quality guitar. We were happy. back in our city and we called of patients. We met and he took us to his school to It carries. jammed and he told us there know who sings pretty awesome. asked us whether we want to lead. I agreed. also occurred Arso. when we met with were a little surprised Arso .. He was much bigger than us. was of Gypsy origin. that led us to be a little skeptical. having made ​​one or two rehearsals we knew that he was a great singer. So we started to create a new composition. it's time to show the scene. in our town was named music festival where we wanted to participate. had the courage because we know better and will make people happy. filed an application for participation but again we refused. we asked on our teachers and they are guaranteed to us. however, there were provided. We knew that playing hard music - rock. and we said that Yae participate only if they play other music. October said that we agree and will make a small concert which will play the blues. day comes. time comes when it's our turn. the hall was full. people we knew and expected to play cool .. but ........... We then began to boo. We looked at each other ... whatever happens, we decided to play a strong pieces. people began to enjoy. yes this is the big prize. but right now our current stopped .. why. because they have left to play rock. it was our nature. Pazzi then sat at the piano and began playing Arso to accession and began to sing. then everyone in the room began to applaud the deed. understand that then do not give us anywhere to play. we rehearsed but only so much. wanted but could not reach the other world. to us it was still communist. worse. no computers. and talk to your world was impossible. broke our wings. not left us and another collapse .Walk EVERY TIME IN YOUR LIFE. So passed more than twenty years. I lost touch. . Turned out that nobody was however not stopped playing. and one day I met Joe on the street and talked about music. turns out we both really want again after so many years together and make a group. began to collect at home. compose new songs. but it was a little difficult at first. we had no drummer. Joe then said that he knew a young boy who wants to play the drums but now teaches. met we arranged to start playing. was summer 2007. But after two years playing in vain it turned out that this guy does not share our ideas. the boy wanted to play music and other rehearsals and it was torture. We parted. we talked and we decided that we must find but did not know how. so some time. Joe did we own rehearsal. equipped our January rehearsed only two of about six months or maybe more different drummers tried each of them said that most - but not ba good way. just wanted to fin. one day I accidentally met him on the street. started to talk. I asked him what he does. what does / we had not seen 20 years. told me that after some time has played in establishments. went to play at weddings, but this lot, many did not like is to quit the music business. has sold his drums and END. Then I started to tell him again that we do music and do many more cool things than before. Our conversation with this selector. was quite deliberate. just wanted to make him think. Joe and I shared it figured to offer AGAIN to play. two days later we met and I invited him to come with us. He was embarrassed. no drums but it was not important. come jammed and he just kept us beat. we had no drums. told that we are addressing a very serious that can listen on the internet and that we have participated in many competitions in BULGARIA. However, our desire is world .. will work for it. bought new drums - studio and there are many of our songs in the world. work very much. will soon come to you. There will be many of our songs that will make you GLAD ..